Mothar Mtn Rock pools shared trail loop. 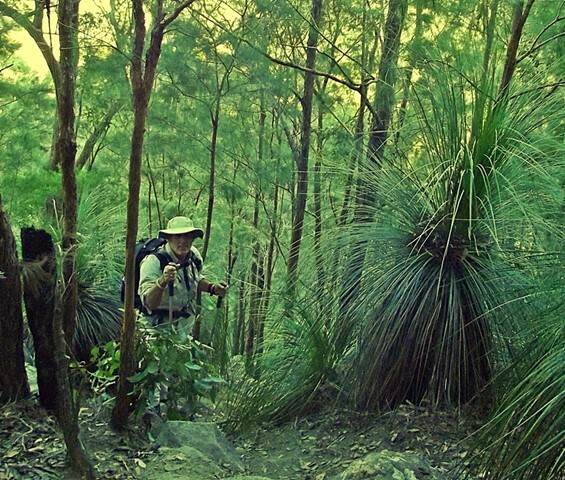 Woondum National Park is a 20 minute drive south-east of Gympie. The park includes the meeting of Woondum and Boulder creeks. 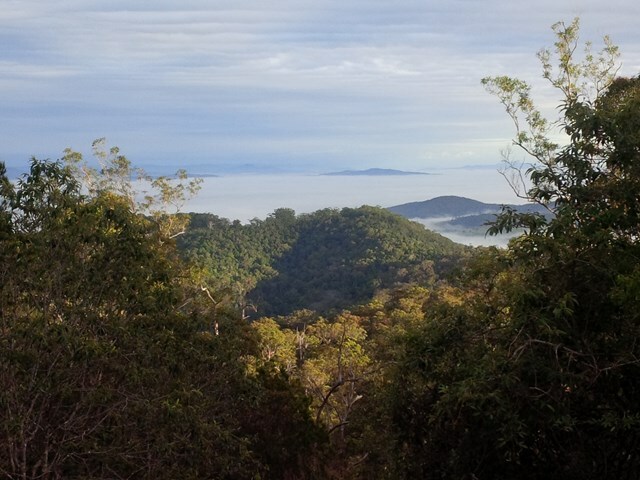 The hills and mountains are covered in tall eucalypt forest and rainforest. Some areas are regenerating after being logged or used as banana plantations. There is no camping within the park. 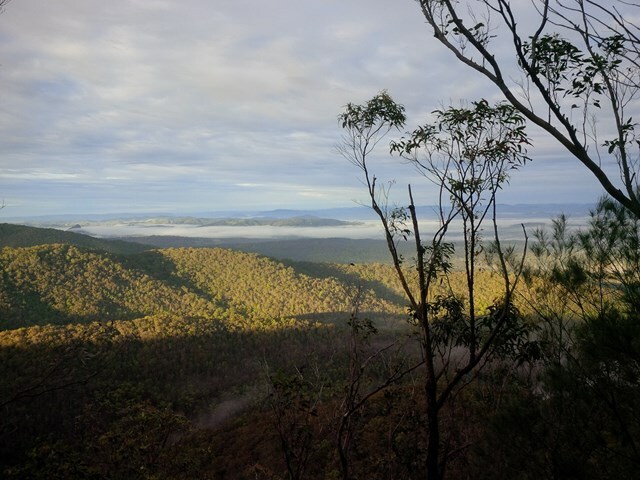 This walk will take you from the James Mcane Lookout just out of Cooran to the Mothar Mtn Rock pools day use area. 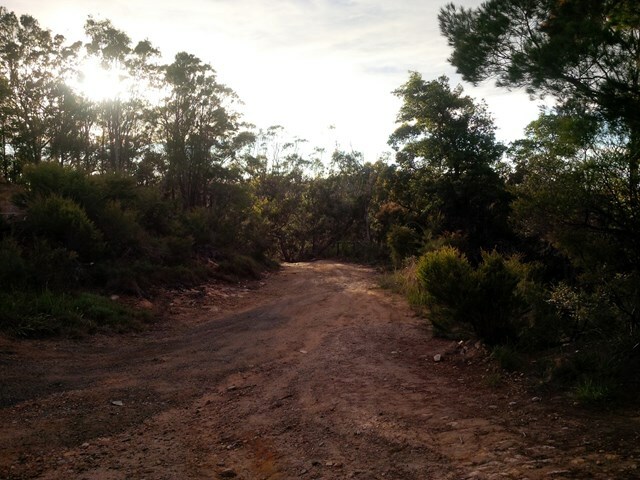 The track I took is mainly a 4WD track but in the whole day I saw 1 4X4. The track winds its way over the Mothar Mtn range in the Woondum NP, and the walking is not to hard with gentle slopes going up and down. This walk however is listed as 1 way. If you wish to return you must go back the way you came, or if enough with transport a vehicle can be left at either end to ferry you back. The return trip by foot would be 21.8klms back to the lookout. This is a pretty little walk you can take whilst visiting the rock pools. 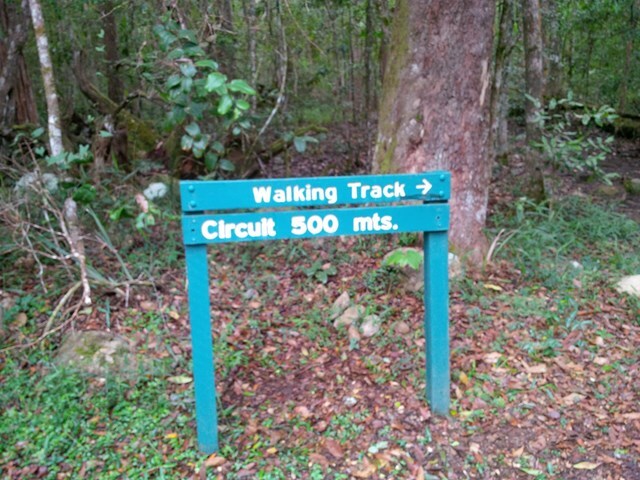 It's only 500mtrs long and is a great little nature walk for the little ones. 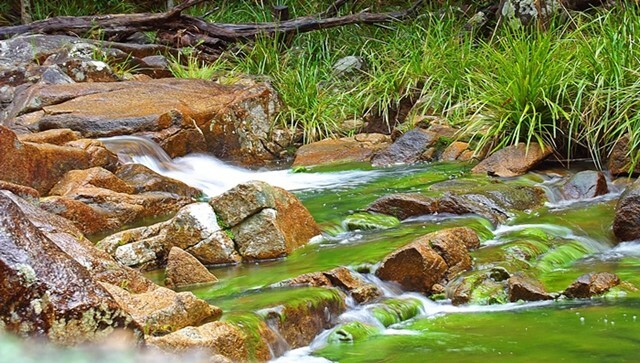 Be aware though, even though it is graded 'very easy', there is a small creek that has to be crossed and care should be taken with little ones that they don't slip on the rocks. This trail is not marked at the rock pools but is well established as it is a shared trail with mountain bikers. To get to the start just walk 25mtrs past the causeway and you will see it on the right. Follow the trail up a slight undulating hill. It does meet up with a small 4x4 track, but shoots off again to the left on a couple of occasions. When you get to the end, you can either return via the way you've come ,or you can follow the main dirt road back down to the rock pools. Keep an eye out for wallabies bounding around. 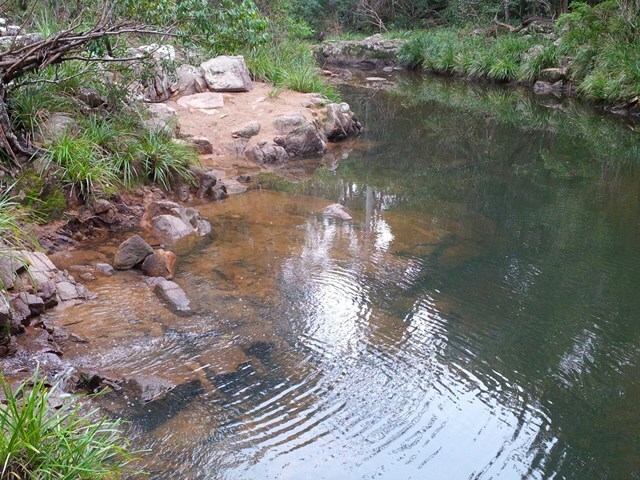 Make your way the the Mothar Mtn Rock Pools just south of Gympie off Noosa road, and park in the car park at the rock pools where you will see the start of the walk. 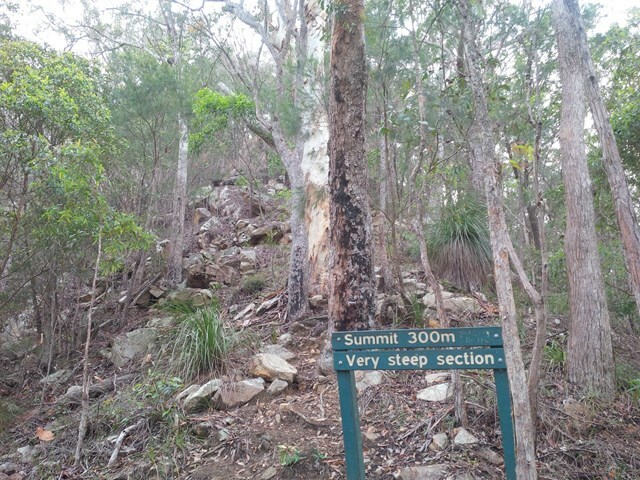 Although a short walk, Mt Boulder is a challenging walk. It rises to 490mtr above sea-level and requires a good level of fitness. The last 300mtr of the assent is very steep, with a small amount hand over hand action required, but well worth the trip. Once at the top you will reach the communications tower and the view is a little obscured by trees,but you can get a few shots of the ranges just a little back down the track. The return is the way you came, so expect some nice thigh burning action on the way down. All in all a good hike. Walking poles are recommended. Note the first part of the trail takes you up Boulder mountain at 490m above sea-level with the last section being steep and slippery when wet so judge your level of fitness and also how safe the conditions are on the day. Once you reach the top follow the access trail (for the communication towers) past the warning sign saying it is 10km back to the rock pools down the other side of the mountain. You will hit a T section in the road, simply take the right (should be signed) back to your starting point. The view is NOT spectacular from the top of the mountain but if you look you can find some views. Once you turn right at the intersection be careful of possible 4x4 traffic especially on the weekends. If the conditions are right the Rock pools are a great way to cool off after the walk!